Recently was a tough day for one of my lovely LeapStars. He has a cruel and debilitating condition that makes breathing incredibly difficult. Yet he still makes it every week to see me. His smile lights up the room and I am always energised by the conversations we have and his tenacity to keep going. It was cold, grey and wet and he said “how to you stay so positive Cate”. Without hesitation I looked up at my nans handprint. I shared how with her influence and her marmalade toast it helped me change my life and habits. It taught me to slow down and appreciate what was around me. Riwai and I had the gift to live behind my nan for nearly ten years. When I started working for myself we used to share porridge with brown sugar, followed by marmalade toast and watch the blackbirds and wax eyes out the window as the sun poked up over the horizon. It was my favourite time of the day and set me up for an extraordinary day. We had real conversation and great discussions. I learnt to love mornings and slowly went to bed earlier and earlier so that I could get up earlier. There is a lot of talk on mindfulness lately. 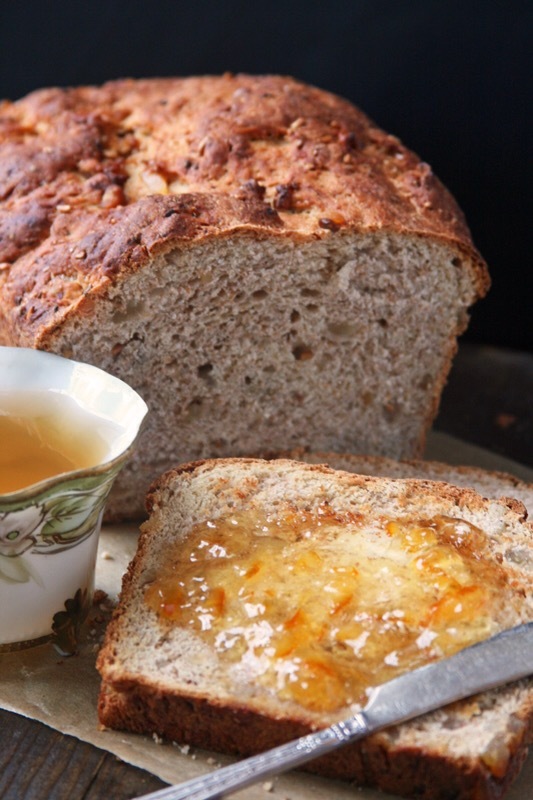 I realised how blessed i was to share marmalade toast for many years with someone who had been mindful all her life. I would arrive and she would turn off the national radio. Tell me all your stories she would say. We don’t need radios, TVs or loud distractions… Look she would say.. Pointing at the birds flitting around her bird feeder. Sitting in comfortable silence observing the world going by meant we could hear the birds chirping, the leaves crunching under our feet, the crack of ice as it falls off a frozen tree, the gentle sounds of cats purring and dogs murmuring, and the all important crunch of marmalade toast… She would wonder where all the busy people rushing by we’re going. She would comment how they looked rushed and like “wreck of the hyspress”. She also said it’s good to enjoy your own company. Another gift she taught me. So many people are uncomfortable in their own company, we are surrounded by rushing, overwhelmed and overloaded people who are escaping their full minds. Somewhere along life’s experiences you need to learn to embrace Silence as a distraction. Being happy in our own company allows us to experience joy and happiness from the smallest things. It frees up space in your mind for wonderment. Practice slowing down and take moments or three. Choose music that matches your moods and enriches your soul. Broaden our experiences rather than use noise as a distraction to escape reality. It’s a good weekend to Just Be! Practice what my nan taught me this weekend. You might just see your own world through a different lens. Perhaps discover how magnificence is all around you. You just needs a moment to appreciate and notice. So as the sun peaks through the clouds I sit in silence enjoying my marmalade toast, the birds are chirping and flitting and I am reflecting on all my nan taught me. Previous Article How anxiety, diabetes, a food bag and some sugar led to nourishing…. Next Article Thank you Mr Ford. Hoon Hay Primary 1984!